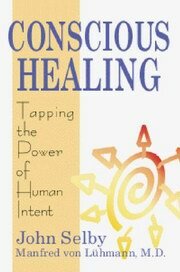 The crucial question explored in this book is: Can we as human beings consciously act to help ourselves recover rapidly from sickness or injury? And if so, what are the most effective mind/body techniques for accelerating the recovery process? Based on new medical research and on their extraordinary success in teaching sick people how to activate and balance their own immune systems, therapist John Selby and Manfred von Luhmann MD, offer twelve mind-body methods that provide anyone suffering from an illness or injury with a step-by-step programme for inner self-healing tto supplement a doctor's care. It also includes invaluable information for maintaining health and wellness by boosting your immune system through conscious healing.